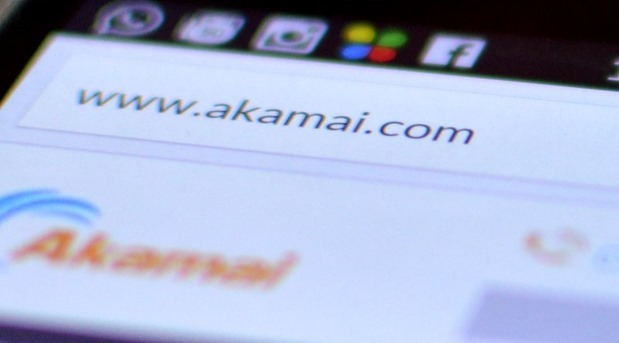 AKAMAI has come up with their 7th ‘State of the Internet’ report for the last quarter of 2014, and there are more bad news compared to good ones. We shall begin with the good news: India is no more the country with slowest Internet connectivity in Asia Pacific region, that mantle has been now passed to Indonesia . India has been acing the race of slowest internet connection for sometime now. . However, it seems, something terrible must have happened in Indonesia as their average broadband speed dropped 50% during Q4 of 2014 to settle at 1.9 MBPS, which is slightly less than India’s average speed of 2.0 MBPS. The average speed in India has certainly increased: 2.1% compared to last quarter and 28% compared to last year, but in the Asia Pacific region wherein countries like South Korea with 22.2 MBPS speed, Hong Kong with 16.8 MBPS speed, and Japan with 15.2 MBPS speed; Indian performance is pretty dismal to say the least. Even countries like Vietnam (2.7 MBPS) and Thailand (7.1 MBPS) ensures better connectivity. Another good news is that DDoS attacks on the port 23 (Telnet) in India has marginally dropped to 2.4% from 2.99% last quarter. This means that Indian websites are now improving their security measures and/or hackers are finding it less feasible to hack Indian sites. China with 41% remained the #1 country to face DDoS attacks, followed by USA and Taiwan. And now, all the bad news. 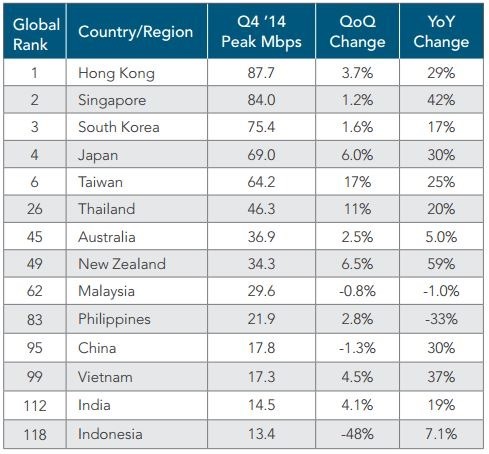 If we observe the peak broadband connectivity in Asia pacific, then only Indonesia is worse than India; all other countries are able to provide better peak broadband speed compared to ours. Broadband penetration in India is still poor, infact, only China performed worse than India during the last quarter. Due to a massive 21% drop, China managed to add only 1.1% more broadband connections, which is slightly less than India’s which experienced 0.7% less broadband connections compared to last quarter. In terms of mobile Internet speed, we are again pretty much at the bottom with an average speed of 1.9 MBPS during the Q4 of 2014, which is still 5.2% better than last quarter. We managed peak mobile internet speed of 12.2 MBPS, which is very low compared with peak mobile Internet speed of 484.5 MBPS in Saudi Arab, 157 MBPS in Singapore, 386.7 MBPS in Kuwait and 116 MBPS in Japan. Even African countries like Egypt (18.5 MBPS) and Morocco (35.8 MBPS) has better peak mobile Internet speed compared with India. 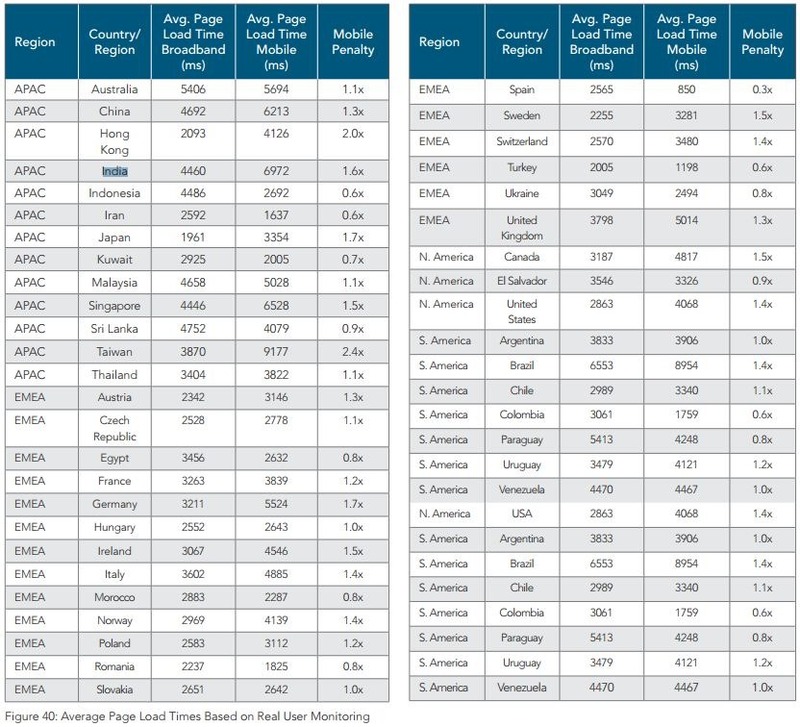 Here is the average site load time for broadband and mobile, for all countries. The report mentions a McKinsey & Company report, which states that there are more than a billion Indians who are without any Internet connection, which is even more than China’s 770 million citizens who are without Internet connection. Despite PM Modi’s Digital India campaign and his plans to spread broadband Internet to every nook and corner of India, the penetration remains dismal and we need some major reforms in this regard. 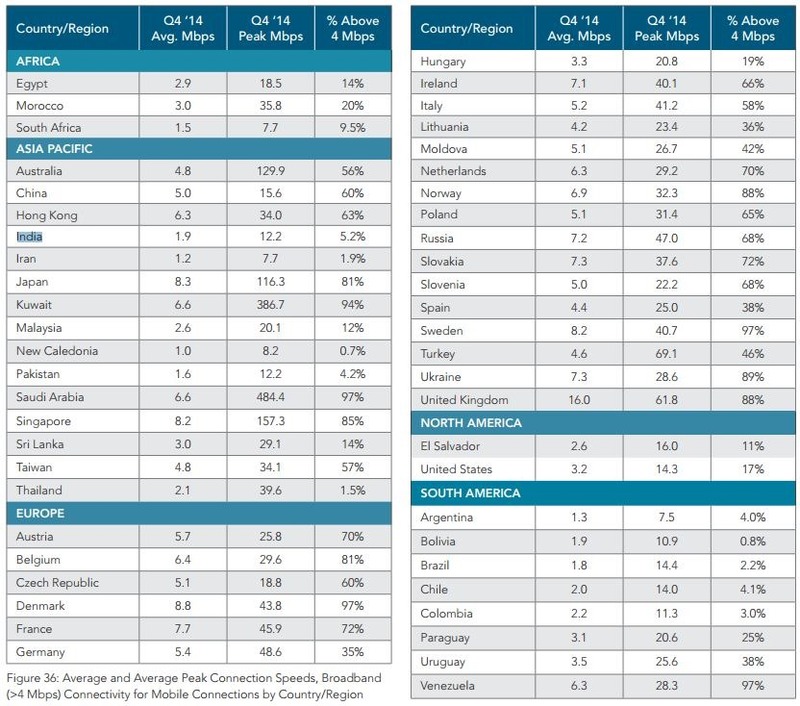 "1B Indians Still Without Internet, Broadband Speed Now Second Slowest In Asia: Akamai", 5 out of 5 based on 1 ratings. Everyone knows the problem but still has no solution. In 2008 I subscribed for Broadband Internet from BSNL. The speed was 2mbps limited connection. Now in 2015 I have 512 kbps unlimited connection. Nothing improved in last 7 years. Previously TRY recommended that the minimum broadband speed will be 2mbps from Jan 2015 but we are still in 512 kbps narrowband era. Hopefully in 2025 we will able to get 2mbps unlimited connection.